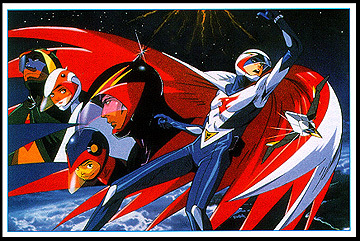 Information: This postcard was offered as a buying premium for the American VHS home video release of the "Gatchaman" OAV series. It was included in initial releases of all three Volumes of the OAV videotapes. The card had a perforated , removeable Urban Vision contest entry form attached to one side.